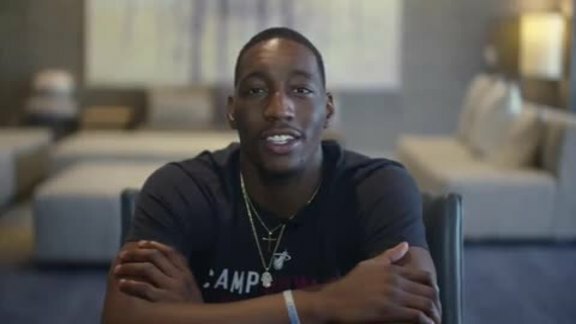 MIAMI, September 12 – The Miami HEAT announced today that they have exercised their third-year team option on Bam Adebayo. Per club policy, terms of the deal were not disclosed. Adebayo, who was selected in the first round (14th overall) by the HEAT in the 2017 NBA Draft, appeared in 69 games (19 starts) last season with Miami and averaged 6.9 points, 5.5 rebounds, 1.5 assists and 19.8 minutes while shooting 51.2 percent from the field. 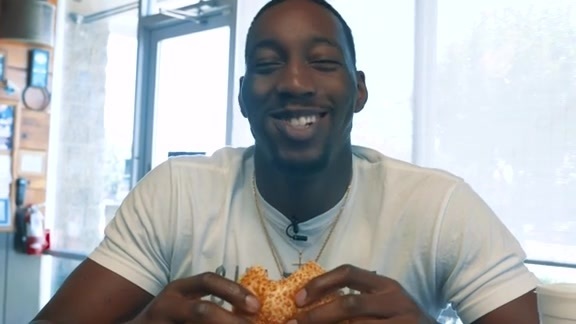 Among NBA rookies last season, he ranked fourth in field goal percentage, sixth in rebounds per game and ninth in blocks per game as his 41 blocks ranked fourth on the HEAT’s all-time rookie list. During the season, Adebayo posted a 16-point, 15-rebound double-double while blocking five shots on January 9 at Toronto, becoming just the second rookie in NBA history to post at least those numbers off the bench (since blocks became a stat in 1973-74) and just the fourth HEAT player ever to post a 16-point, 15-rebound, 5-block game, joining Rony Seikaly, Alonzo Mourning and Hassan Whiteside. In that same game, he helped Miami out-rebound the Raptors by a +27 margin (64-37), tying for the fifth-highest rebound margin in team history. He started last season with a 13-point, 13-rebound double-double in just his fourth NBA game on October 30 vs. Minnesota, marking as the fifth-fastest HEAT player to post a double-double in franchise history. His 10 offensive boards in the contest are the most by a rookie in team history during a single-game and tied for the sixth-most by a rookie in the NBA over the last 17 years. Additionally, he grabbed 16 rebounds on March 14 at Sacramento, tying the second-most by a rookie in team history and he shot a perfect 7-of-7 from the field on November 28 at Cleveland, becoming the only rookie in HEAT history to not miss a shot with at least that many attempts as he was also a perfect 5-of-5 from the line in the contest, marking just the second time in franchise history a HEAT player was perfect from the field and the charity stripe with a minimum of five attempts each. 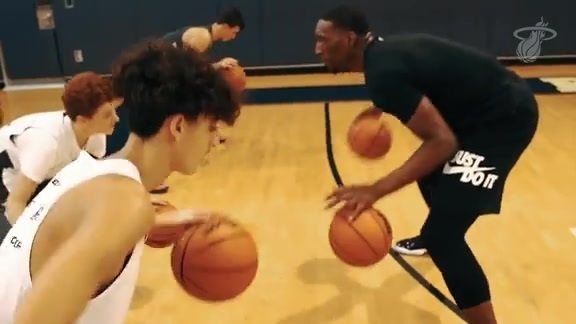 The former Wildcat appeared in 38 games (all starts) as a freshman at Kentucky and averaged 13.0 points, 8.0 rebounds, 1.50 blocks and 30.1 minutes while shooting 59.9 percent from the field. He was selected to the All-SEC Second Team and the All-SEC All-Tournament Team after helping the Wildcats win the SEC Championship.